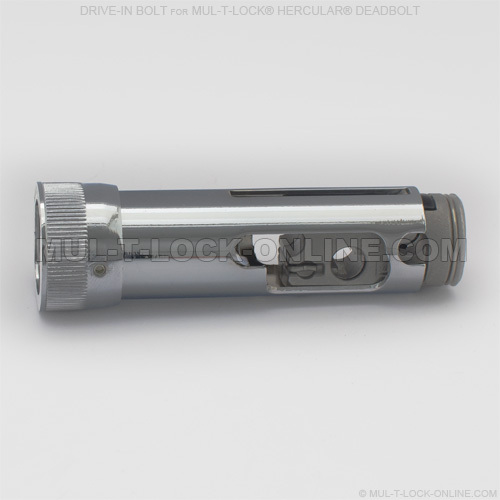 This is an original replacement bolt for MUL-T-LOCK Hercular deadbolt locks. The drive-in bolt is for metal doors in which the bolt is not screwed in like on a wood door but rather driven into place. MUL-T-LOCK's drive-in bolt fits 1 1/8" holes. It can be driven in using a rubber mallet. 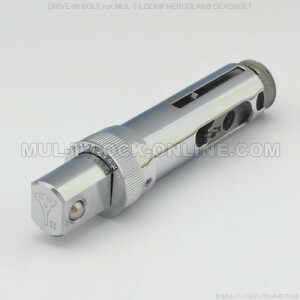 The bolt features an adjustable backset from 2 3/8" to 2 3/4".